In vSphere 5.5 the command line interface esxcli has 3 new namespaces. 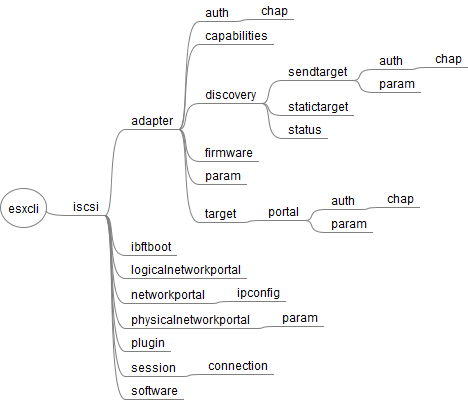 The esxcli is a complete set of commands that you can use for troubleshooting, configuration or kickstart files. 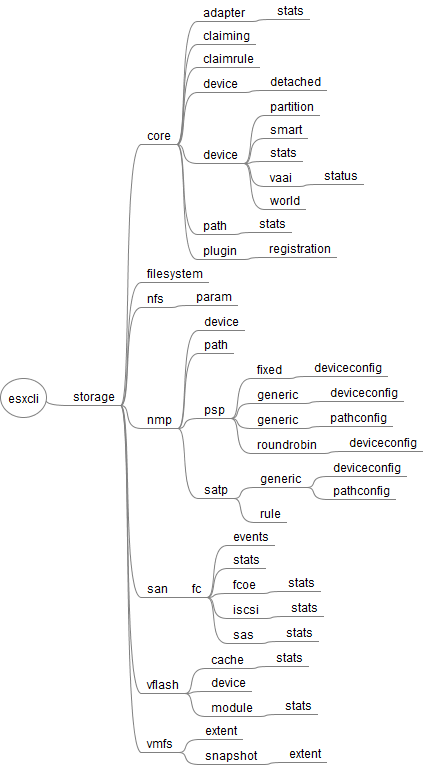 I have created and printed a mindmap to navigate through the namespaces more quickly. 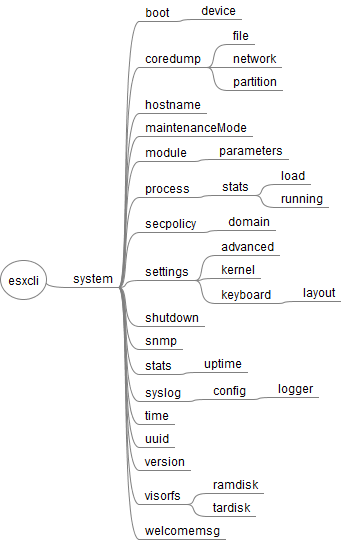 This post covers only basic namespaces, available on all ESXi 5.5 hosts. 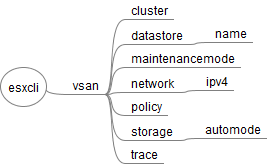 If you've installed additional software you might see more namespaces. 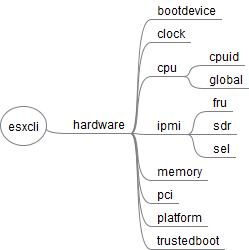 I've also created a Mindmap for ESXi 5.1 some time ago. itself allowing users to get additional information. properties of the kernel core system.